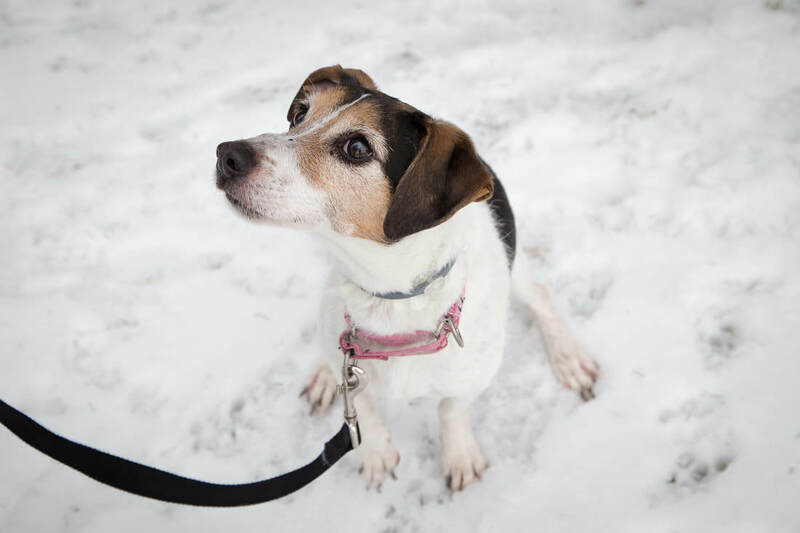 Home > Adopting Rescue Dogs > Adoptable Senior Dogs > Diamond is a spunky senior looking for love, and a home! 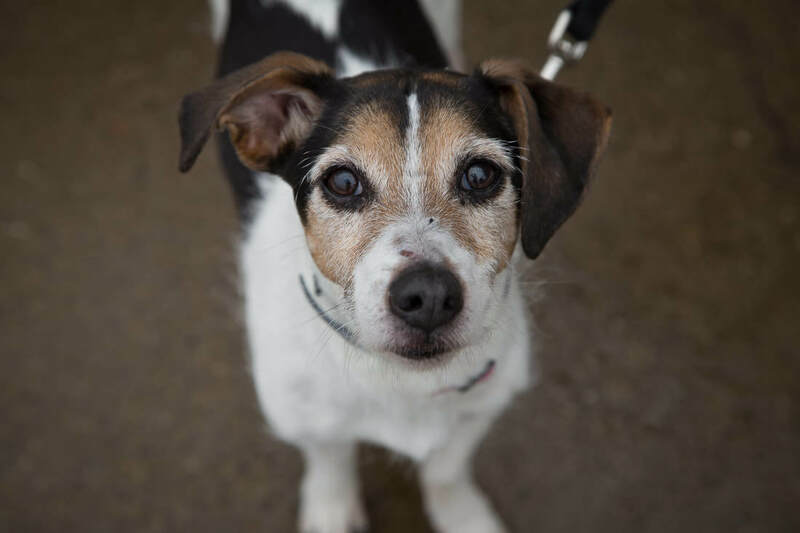 Diamond is a Parsons Russel Terrier, looking for her retirement home. 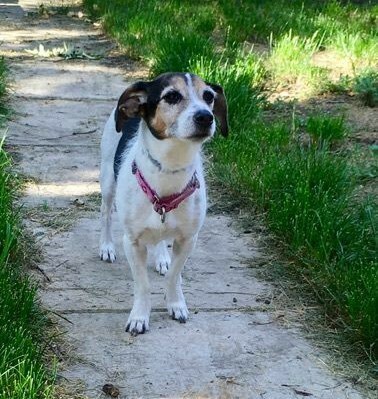 Nobody has told Diamond that at 14 years old, she’s supposed to be a lazy senior dog. She loves going for walks, and sniffing and climbing on things outside. But snuggling is her all time favorite activity. So if you sit down on the couch, she won’t be far behind. Diamond loves her crate, her safe place, and will happily go in it herself, when she sees you’re getting ready to leave. She’s also already housebroken. But there are somethings that Diamond doesn’t love. She doesn’t like to be picked up. But she can go up and down steps easily, and get in and out of most cars herself. And she hates going to the vet, but then, don’t all dogs. Her foster mom will let you in on some tips on how to get through vet visits with minimal issues. And if you live in the Pittsburgh area, her current vet already knows her and all of her little quirks. She’s a healthy girl, whose already spayed and up to date on her vaccinations. She is on a special kidney disease prescription food, but it’s no more expensive than a good quality dog food. And she loves it. Diamond does get along with other dogs. Although she would prefer them to be similar in size to her, and for them to give her her space. Cats she will pretty much ignore, as long as they don’t bother her. She would, however, prefer to have a home with no small children.